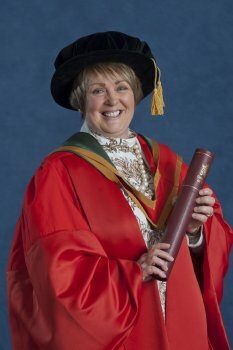 Professor Elaine Ramsey, who was awarded a Distinguished Research Fellowship by the University of Ulster today, has been involved in projects focusing on societal and economic benefits in the area of environmental management. She has presented findings from these projects both at a regional (Northern Ireland Assembly) and national (Westminster Parliament) level and this work has supported the policy debate on environmental sustainability. Professor Ramsey was included in the Research Assessment Exercise 2008 and will be submitted to the research Excellence Framework 2014.. Her publications since 2008 include one at 4* and five at 3*. She has also been successful in securing external grant income of £675k (representing £225k per fte) for five EU projects –well above the sector average.